Get the best hotels – whatever your travel budget. We have them all, from homestays and hostels to 5 Star luxury hotels. A city of beaches, gardens, stunning vistas, and always good food, Victoria, BC is a traveler’s delight, no matter the size of your budget. There’s never a lack of appeal, whether you visit the cruise ship port and walk the breakwater at Ogden Point Point on the Strait of Juan de Fuca; fly into the friendly airport and drive to town through the rolling green hills of the Saanich Peninsula –home of the famous Butchart Gardens; or take a ferry ride from the mainland – you might even see a pod of whales! Sandy beaches at gorgeous Cadboro Bay and Willows beach are for sunbathing in summer or walking by Pacific waves in mild ‘winter’ weather. In thriving Oak Bay there’s a hint of old England, with its Penny tttttthing pub, Ivy’s Bookstore and one of Victoria’s finest art galleries, The Winchester. Hotels in Victoria are numerous, at all comfort levels to suit all budgets. We aim to find you the top budget hotels in Victoria, BC. Hotels for all price ranges, budget to 5 star are to be found throughout the city. From the grand and famous Fairmont Empress Hotel – famed for it’s sumptuous afternoon tea to homestays and hostels. Victoria has them all. A good number of Victoria’s better hotels are located around the Inner Harbour. You may be in luck and get a deal to fit your travel budget. Start your search below to make the most of delightful city while getting the best hotel deals in the top-rated hotels. 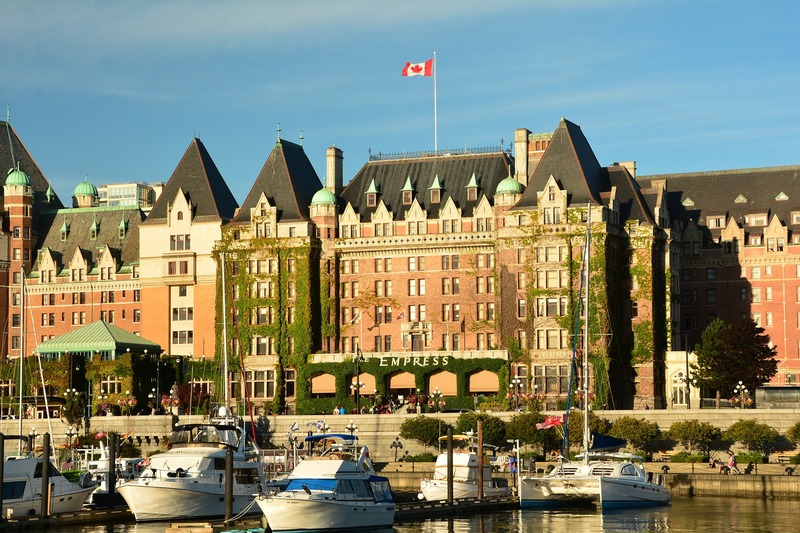 Check out our hotel deals for Victoria, BC. See what fits your travel budget. Enter the dates of your stay & click the button to see Victoria hotel deals. Then narrow the results list by using the filters on the left. What to see and do in Victoria, BC. Downtown there’s historic Chinatown to explore – the oldest in Canada. There is superb shopping along lower Johnson and Upper Fort, for seekers of the contemporary or those with a taste for antiques. Coffee shops, including excellent local roasters, are everywhere. Don’t miss a visit to Munro’s Bookstore on Government, a destination for bibliophiles from around the world. If you enjoy fish ‘n chips, try Red Fish Blue Fish on the inner harbour – where there are little cruise boats waiting to take you over to West Bay Marina or Fisherman’s Wharf with its colourful housefloat community alongside fishing boats and ethnic food offerings. Next could be walking,flagging a pedicab or taking a horse drawn carriage through the streets of historic James Bay to see heritage homes alongside more current designs. Not to miss nearby is Beacon Hill Park, an oasis of flower gardens, trees, paths, ponds and strolling peacocks. Past the park is charming and social Cook St. Village, home to more coffee shops and restaurants, leading into the magnificent sea walks of Dallas Road. Some of the world’s most awe inspiring seascapes await past Clover Point on Dallas and on Beach Drive—a must tour whether walking or going by car, bike, scooter or tour bus. P.S. 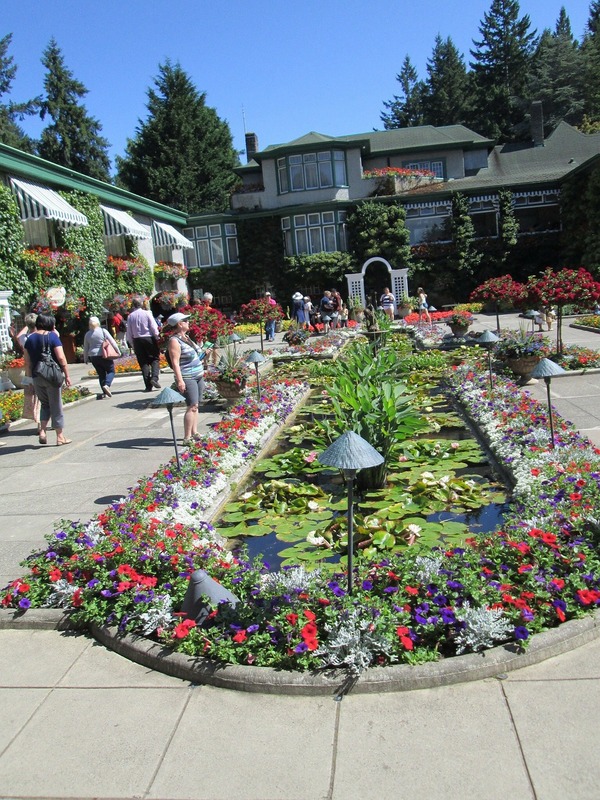 if you are a garden lover visiting Victoria in spring and summer, as well as visiting Butchart Gardens, don’t forget to see the rhododendrons at the outstanding Finnerty Gardens at the University of Victoria. Interested in other Canadian cities? See our posts on Vancouver and Kelowna. Smart travelers pay less. Save up to 80%. It’s our mission to find you the best hotel rooms at cheap and discounted hotel rates. Cheap, you say? Yes, we did. At Budget Hotels, cheap doesn’t mean one star. In fact we search high and low for 4 star and 5 star hotels that offer the best hotel room rates available. Some of them so deeply discounted, you can save up to 80%. With each enquiry, Budget Hotels searches over 800,000 hotels to find the best hotel room and experience to suit your budget and adventure. Sort your results by star rating, area, property type, guest rating, hotel features and theme. Smart travelers pay less. Be smart today.